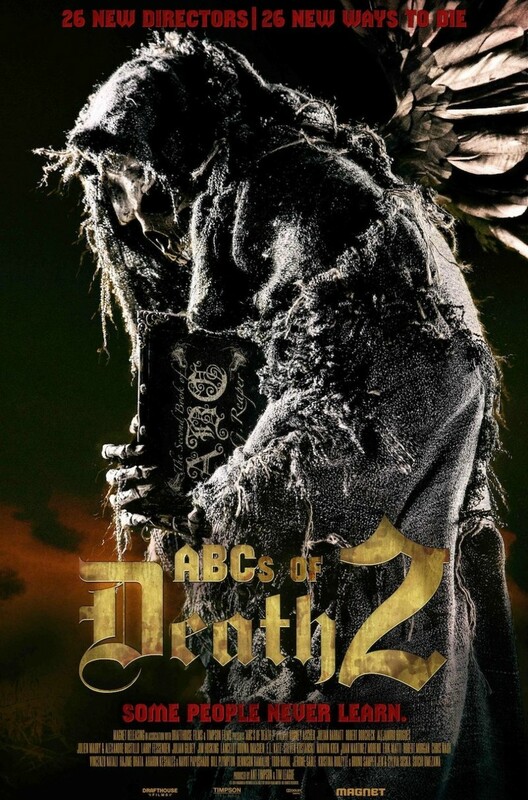 ABCs of Death 2 DVD and Blu-ray release date was set for February 3, 2015. The sequel to the well-known, ABC'S of Death, this one includes even more blood and gore than the first. This one traces 25 new deaths through a horror-rich, albeit comedic, setting. Twenty-five new directors have created this blood-bursting movie sequel and the horror is right there for you. In the original, each letter of the alphabet represents a different way to die. Blood curdling and suspenseful, this sequel is sure to get an audience member's attention.